The term metaphysics was first used by the ancient Greek philosopher Aristotle as the title of one of the volumes of his massive philosophical corpus. Metaphysics was literally the volume after Physics. What were the subjects contained within Aristotle's volume Metaphysics? All sorts of topics which involve a higher level of abstraction than physics itself or, if you like, dig more deeply into the nature of reality than even physics. Over the many centuries since Aristotle, metaphysics has come to mean philosophical speculation of a nonempirical type, of intrinsically nonobservable phenomena. One example is causation. We don't observe causation. We observe what appears to be a cause, and what appears to be an effect. Are they joined causally, or are they merely coincidentally connected? This is a big question for philosophers interested in metaphysics. They have also speculated about such things as tropes and possible worlds. To skeptics, all of this is well and fine, but an elaborate fantasy is, at the end of the day, still a fantasy. For obvious reasons, then, metaphysicians are not that keen on skeptics. When confronted with a meticulously woven metaphysical tapestry, rather than complimenting its maker, the skeptic points out all of its flaws, and reveals that even the metaphysician's most cherished theories are incapable of being demonstrated as anything more than figments of his imagination. To metaphysicians, skeptics are like an annoying kid at a party who pops everyone's balloons. or Highly Contingent Mass Market Success? 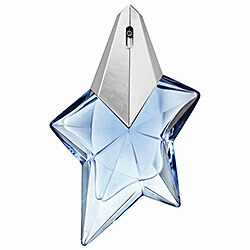 Where does metaphysics fit into the perfume picture? One question which has arisen lately is the status of perfumery. Is it art? Does it matter? On the one hand, this seems to be a simple conceptual question. Define the term art, and then examine perfumery and see whether it fits the definition. I've noticed a tendency on the part of the "Perfume is art" crowd to conflate art and aesthetics. Beauty stopped being a necessary condition to art more than a century ago, so there's definitely a conceptual confusion in the minds of those who infer from the resplendent beauty of some perfumes that they are works of art. When people begin exalting perfumes as masterpieces, or "one of the ten greatest perfumes of all time," there seems to be something more going on. When such claims are made with quasi-religious fervor, then one can only suspect that perfume has become some kind of surrogate for a higher purpose or power. 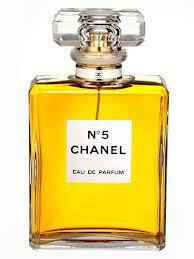 Perfume seems to hold some sort of metaphysical significance for such enthusiasts, a value beyond the pleasure derived from the experience of perfume. Many people appear to wish to believe that great perfumes have an eternal aspect to them, despite the obviously evanescent quality of the real liquids which go by the label perfume, and despite the fact that perfumes arise in very particular cultural contexts, and despite the dependence of our tastes in perfume on highly contingent cultural factors. Being skeptical by nature, my distinct impression is that the people who fall into the "Perfume is art" camp are making sweeping generalizations based on their own love of some perfumes. Obviously, all perfumes are not artworks, just as most texts are not literature. So right from the beginning there is a problem with the "Perfume is art" thesis. Surely any thoughtful person would distinguish great perfumes from vat-produced chemical soups created solely in response to marketing data amassed about the preference of current consumers. There is something of a vicious circle in all of this, because the perfumes thought to be market-worthy end up on the shelves, and then consumers buy and wear them. They may in this way become habituated to those sorts of scents, and then when they are surveyed, they will express in complete sincerity an interest in wearing more of the same. Homogenization is inevitable in such a scheme. Would you settle for the construct. "Perfumes are not art, but a particular perfume may be considered a work of art". It would be interesting to know as this is something you seem to imply. Yes, yes, emphatically: yes! You have correctly and concisely expressed my thoughts on the matter, Perfumed Dandy! Thank you for clarifying what I have been trying to say! "Perfumery is a business, but a particular perfume may be considered a work of art." In my view, it all comes down to the perfumer, and this is how, why, and where I disagree with the global "Perfume is art" advocates. It's not the beauty of a perfume, but the perfumer's own special connection to the product of his creation which makes it art.